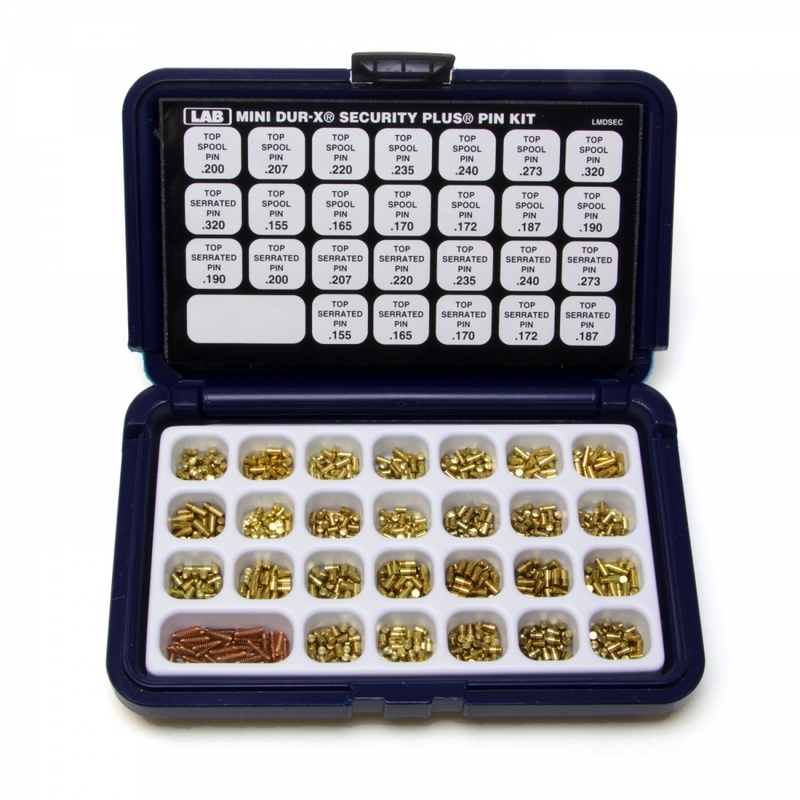 Specialty pinning kit with high security pins in tough polyethylene case. 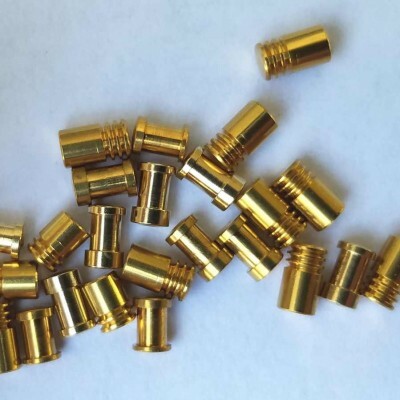 Contains 13 sizes of spool pins and 13 sizes of serrated pins. SKU: LMDSEC. Category: Pinning Kits. Brands: LAB. 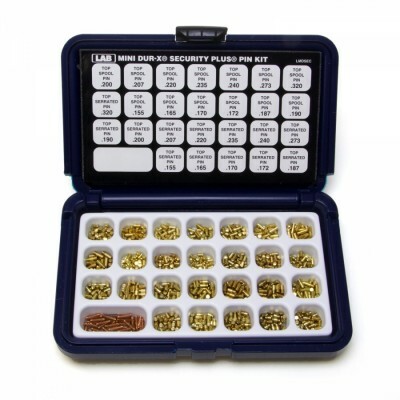 Specialty pinning kit that contains an assortment of high security spool and serrated pins in a tough polyurethane case.